It’s worth checking you’ve been through all 4 steps - otherwise you might not get your Universal Credit payment. If you live with your partner, you’ll usually need to apply together - called a ‘joint claim’. 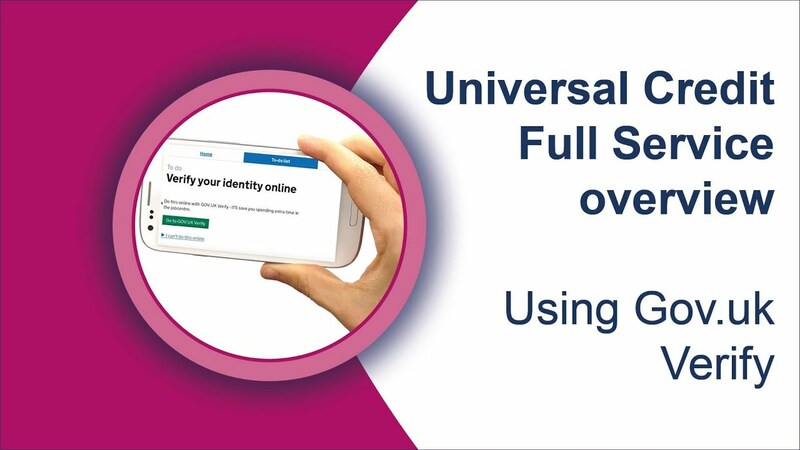 You can only claim Universal Credit online - there’s no paper form. If you aren’t confident using the internet, ask your local council about help getting online. You might be able to apply by phone or in person instead of online. You’ll need to tell the DWP why you can’t apply online, for example if you have problems reading or writing. Contact the Universal Credit helpline if you need to apply by phone or in person. Someone else can call for you. The application can take up to 40 minutes on the phone. If you’ve lost your job, it can be worth waiting until you get your final payment from work. If you apply before then, your last payment will reduce your first Universal Credit payment. It can still be better to apply for Universal Credit straight away if you’d have to wait a long time for your last payment or if you don’t expect to be paid very much. Contact your nearest Citizens Advice if you’re not sure when to apply. Getting all your details together in advance will save you time and make it easier to apply. If you’re making a joint claim, your partner will need their details too. One of the later steps is going to a Universal Credit interview. You’ll need to take the same details to that, so it’s worth keeping everything to hand. You can find your National Insurance number on a payslip or letter from HM Revenue and Customs - call the National Insurance helpline if you can’t find it. If you don’t have one, apply for a National Insurance number on GOV.UK. All these details should be on your rent agreement - if you don’t have one, ask your landlord for a copy or for a letter with details of your agreement. You can find child benefit reference numbers on letters to you about child benefit. The reference numbers start with 'CHB' and are made up of 8 numbers and 2 letters - like this: ‘CHB12345678 AB’. Phone the Child Benefit Office on 0300 200 3100 (textphone 0300 200 3103) if you need help. You’ll need details of any other benefits you’re getting, including how much you get. You should also tell the DWP if you or your partner are getting any of the benefits Universal Credit is replacing. Otherwise you could get the wrong benefit payments and will have to pay them back to the DWP. Once you start getting Universal Credit it’s worth checking that your other benefit payments have stopped. If they haven’t, tell the DWP to make sure you don’t get an overpayment. If you or your partner are still getting Child Tax Credit or Working Tax Credit payments, you’ll need to tell HM Revenue and Customs rather than the DWP. You’ll need to apply for Universal Credit online on GOV.UK. You’ll need an email address to apply. If you don’t have one, find out how to set up an email address on Which? You don't have to apply in one go - you can save your progress and come back later. But it's worth finishing as soon as you can, as your claim can't start until you've finished the whole process. You and your partner will need to set up separate accounts. When you set up your account you’ll be asked if you live with your partner. If you say yes you can get a ‘linking code’. When your partner sets up their account they can type in this linking code to join their account to yours. 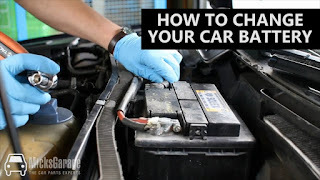 This is separate from setting up your account. It’s worth starting your claim as soon as you can, as it will mean you get your Universal Credit payment sooner. 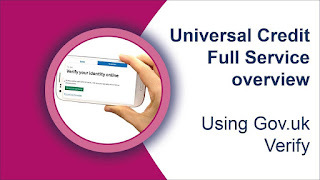 Log in to your Universal Credit account using the details you got when you set the account up. If you can’t remember your details you can click on ‘Problems signing in?’ to ask the DWP to send them to your email address. Once you’ve logged in, you’ll see a ‘to do’ list. You’ll need to go through the list answering questions about your situation. If you’re making a joint claim you’ll see your partner’s to do list as well. They’ll have to log into their account to answer some of the questions. One of the items on your to-do list says ‘Verify your identity online’. This takes you to a government system called ‘Verify’ to confirm your identity. Verify can be difficult to complete. If you’re having problems, go back to your Universal Credit account and click on ‘I can’t do this online’. You can then skip this step and confirm your identity at the Jobcentre instead. You’ll need to arrange an interview at your local Jobcentre within 7 days of applying online. If you don’t arrange the interview in time you might have to start your application for Universal Credit again. You should be given a phone number to call to arrange your interview after you apply online. You’ll need your National Insurance number when you make the call. If you aren't given a phone number, call the Universal Credit helpline to arrange your interview. The person you speak to when you arrange your interview will tell you where your interview is and what documents to take with you. After you’ve arranged the interview you’ll be able to find details about it in your online Universal Credit account. You should still call if an interview will be difficult for you because you’re ill or disabled. You can ask the Jobcentre to change things to make it easier for you - this is called a ‘reasonable adjustment’. For example, you can ask for a British Sign Language interpreter, or for your interview to be at a place you can get to easily. If the Jobcentre refuse to make changes for your illness or disability, check if they’ve failed to make a reasonable adjustment. If they have, remind the Jobcentre that this could be discrimination. You can consider taking action about discrimination if they still won’t do anything. Once you’ve applied for Universal Credit, check if you can get Council Tax Reduction. Most people who get Universal Credit can claim this too. If you already get Council Tax Reduction, contact your council straight away to tell them you’ve applied for Universal Credit. Ask them to keep giving you Council Tax Reduction. Otherwise they might end your Council Tax Reduction when the DWP tell them you’re getting Universal Credit. The DWP will send you a letter if your application is unsuccessful. You can ask them to reconsider the decision if you think it’s wrong. If you’re struggling to get by, check what other help and financial support you could get.